Desi Smith/Staff Photo. 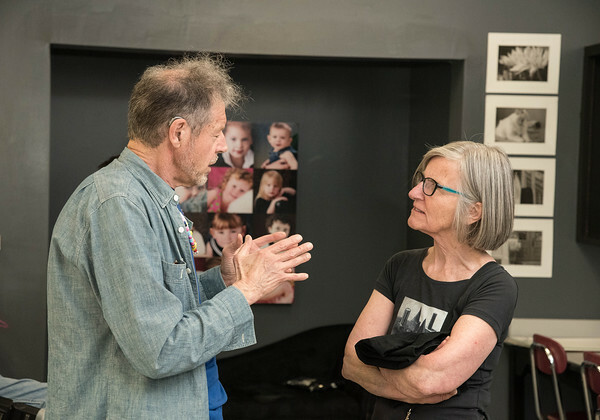 Rob Amory, Artist/Photographer who donated around $40,000 worth of equipment, talks with Maggie Rosa of the Gloucester Education Foundation while attending the opening of the new photo studio lab Thursday afternoon. The lab also recieved pledges of $20,000 a year over 5 years.